This one has been extensively re-profiled, de-seamed and polished. From a collector friend of mine. These were manufactured in the 1980s and made from a Bakelite thermosetting type material. The quality of the mouldings were not as good as the genuine GPO model. This one has been extensively re-profiled, de-seamed and polished. It is fitted with a GPO No27 coil and dial. If you love this model but don't want to pay the high price of the originals then this is the phone for you. 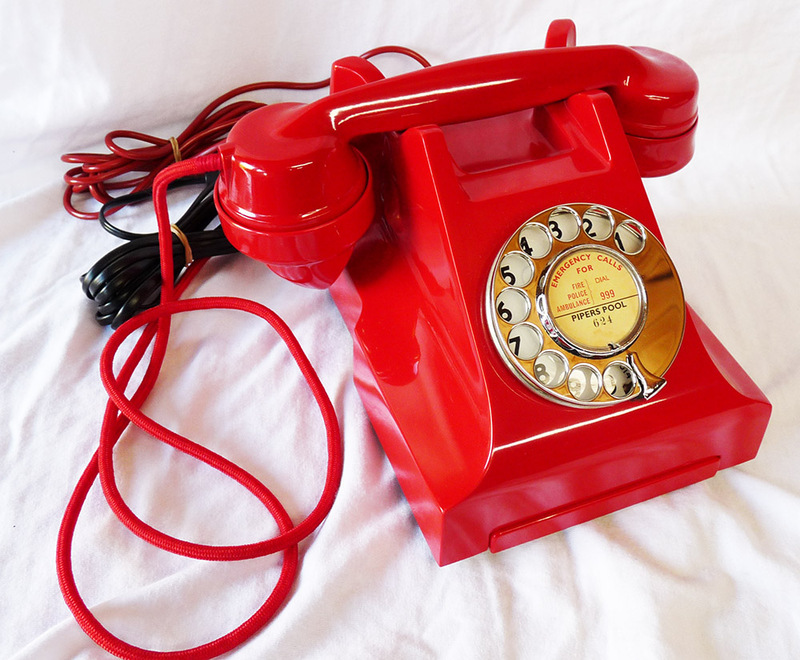 Ideal as an every day telephone and because it has the a GPO No27 fitted it will perform perfectly. I can make a dial label with your information at no extra charge. This one will come from a collector friend of mine.